So you’ve got an app idea, and it’s a game changer. You think, ok, I’ll just start raising funds now. Investment funds from venture capitalists will be knocking down my door. The idea is so amazing no investor will be able to resist it once you pitch it to them! In this post I want to address the reality of getting startup investment in Australia; why startups should put off raising seed capital for as long as possible, and what you need to get done before hitting the investment circuit. Australia’s startup ecosystem is still relatively immature, and we have a very small angel investment pool. Alan Jones, a Sydney-based angel investor, says it takes investors at least FIVE YEARS to become confident in their own decisions, and the tech ­ecocystems of Melbourne and Sydney are only a few years into that journey. There are a few reasons for this, but it boils down to the fact that Australia doesn’t have as much of an entrepreneurial culture as our competitors like the US and Japan. Of course, this is something that the Australian government is desperately trying to change with the 2016-17 federal budget. The Prime Minister’s innovation agenda and #IdeasBoom should give Australian startups a leg up in the fight to find seed and venture capital from investors. Yes, of course there are examples of apps that got raised funding off an idea alone and went on to have enormous success. Don’t get me wrong, I will always advocate giving it a go if the alternative is quitting. However, you shouldn’t think that you need a heap of cash from the outset in order to succeed. Research shows that access to funding is not a significant indicator of startup success. The reality for the average startup is that seed funding can be difficult to obtain because there is so much risk in it for the angel investor. Adeo Ressi, one of Silicon Valley’s most prominent investors in early-stage technology companies, says that Australia is notorious in the global startup scene for its low-risk appetite to early investment. Growth-stage investors (who take on companies once they start to show promise) are increasing in Australia, but the seed stage investors are timid and comparatively risk-averse, and it’s affecting our ability to compete with the Silicon Valleys of the world. Most Australian early stage investors acting alone are typically not from the technology industry and not serial entrepreneurs themselves, so it’s natural for them to be a bit more cautious ­because they didn’t have to back themselves in their own tech endeavours” – Alan Jones, startup evangelist at Blue Chilli. It might not be fair, but globally it’s hard to compete. The best bet you have to get funding is not in seed funding – it’s in the later stages. That’s why I advocate spending ALL your savings and have no more money left before you go running to investors. “One of the most important principles about raising capital…is to get as far as you can without raising capital.” – Ryan Allis, founder of iContacts turned investor. What funding stage are you in? Getting documents and legals in order (getting an Australian Business Number, Tax File Number and Pay As You Go withholdings). Investors are more inclined to put money into the later stages of development – specifically those last four. All of these sound much less risky than investing in an idea that has no research to prove it’s even a viable opportunity in the market. The other reason Australian investors don’t fund ideas is because it weeds out the talkers from the doers. Investors know that investing in a team that has already done something offers a much higher likelihood of generating a return on investment than someone with an idea and nothing else to show for it. What are the different kinds of private investors by startup stage? Now let’s have a look at how much risk each type of investor is typically willing to take on. Seed investors will take the most risk – product, market, financing, execution, and team risks. Early stage investors usually won’t take a risk on the product (building it, validating it), but they will accept some modest market risk, as well as execution and financing risk. Growth stage investors will only take execution and financing risks. Late stage investors usually only accept modest expansion risk. Risks in the financial markets are things that all investors face, but late stage investors try to limit their bet solely to that kind of risk, often using deal structure and valuation as mitigants. You can see that the only investors that will take a risk on an idea alone are seed investors, maybe early stage investors if you’re really lucky, and we’ve already established that these are hard to convince in Australia. So when WILL investors invest? The entrepreneur is hard working, ambitious and passionate. ie: Must be willing to do the work and wear the pain of ‘founderism’. The idea is backed with a logical plan. They investor can see how if they put $1 in they will get $1.20 back. By being able to validate these you’ll be able to properly value your company. This will minimise the risk of offering too much equity for capital, and losing some degree of control. Entrepreneurs who approach investors with a concise plan (or information memorandum) are infinitely more likely to raise the requested venture capital at a lower exchange in equity. This shows the investor how the business idea makes sense. 1. It shows you have your skin in the game. What will it look like to investors if you pitch an idea and then ask for a minimum of $10,000 to do market research and build a prototype? a) Can this person really not find $10,000 pulling together every resource they have? Most people can find this money if they keep at it, so it might signify to the investor that you haven’t tried hard enough. or b) Why is this person so scared to put in any of their own money into this idea? They’re obviously so risk averse and keen on playing it safe, and that’s not a business that will grow fast. If even the founder doesn’t believe in it enough to stake money on it, why should the investor? When you deliver a pitch, you are basically painting a picture to investors of your product, your business strategy, and your vision. The more information you have to go off, the more vivid you can paint this picture. It’s as simple as that. In later stages, you’ll have mockups and protoypes that will bring your idea to life. You’ll have user feedback or even an existing customer base that validates your app. You’ll have financial projections to show how big an opportunity this is, and you’ll have data showing how much traction you’ve already got. This sounds a lot more enticing than “I’ve got an idea that my friends all really like, and I’ve drawn up a logo. Now please give me $250,000 to get started”. What should you have done before seeking seed funding/venture capital? Now, this will take a few weeks of work. But it also takes a fair bit of time to raise investment funding, no matter what stage you’re in. Preparing investment pitches and information memorandums, responding to investor questions and requirements, and jumping through endless hoops are all time and energy-consuming activities. Why wouldn’t you delay it as long as possible so when you do start, you’ll get a better return on investment? If you raise venture capital after creating an initial product design, strategy and business plan, you’ll be able to raise a LOT more in those months than you would have off an idea alone. Melanie Perkins is the CEO of Canva, the online graphic design tool that has become one of Australia best startup success stories. Its meteoric growth has seen it most recently close $6 million in US funding, and the tool is reportedly used by 40% of Fortune 500 companies. In a statement on what she’s learned in her startup journey, Perkins advocates just starting. Where the hell should you start? Instead of planning to raise $250, 000 and then getting started, focus on finding $10,000 – $20,000 from your own pocket and close friends to start right now. Use that money to build a minimum viable product, get initial users, get people to work for you, and incorporate. I recognise that it’s incredibly difficult to build a business without any money – it’s supposed to be! That’s why we don’t have entrepreneurs running all over the place! Show that you can walk the walk. According to the Startup Muster report, only 31% of Aussie founders are working on their startup full-time. Have a look at the most successful startups in the world. How many had part-time founders? Startups are high-risk, high reward. You need to go all in! Investors look to the founding members as a massive influencer in their investment decision. Collect emails and a pre-launch database. You’ll need to create a stunning landing page for this. Apply for grants and loans. Check out these Top 7 Grants For Startups. You’ll know when you can’t raise your own funds any longer, because you’ll hit a wall. This is a point where you can’t go any further without bigger expenditures – paying salaries or purchasing hardware, for instance. Once you’re looking for more than $25,000, and you have an initial product prototype, then you can go to angel investors. The Aussie tech startup scene is about to get a massive boost from the government, which is great news for entrepreneurs and investors alike. But it’s important to not be naive about your chances of getting early-stage funding. It’s becoming more and more common for investors to demand metrics and existing customers before they invest. Ideas just aren’t that convincing on their own. 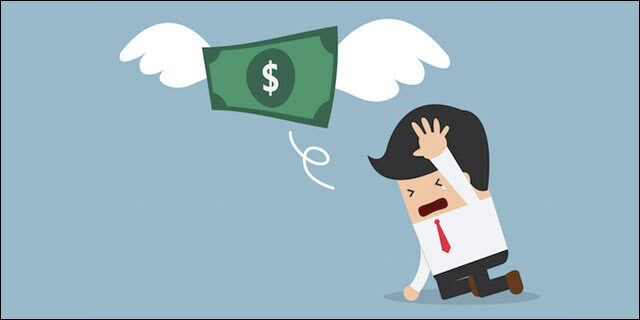 The common refrain from prominent investors as well as from successful startup case studies is that you should bleed yourself dry before you seek funding. Live the lean life as much as you can and use money from your own savings and from friends and family to develop a prototype and an initial customer base. This will not only give your company a higher valuation when you go out on the pitching circuit, but will improve your chances of getting funded in the first place. Get access to your customisable pitch deck and learn how to craft a knockout pitch that makes investors take notice! If you’re an established business, our investment teams can help you find a more flexible alternative to traditional bank or private-equity financing. If you’re an early-stage business and you need investment capital, plus direction on developing your business, our Ventures team can provide the vital support you need.